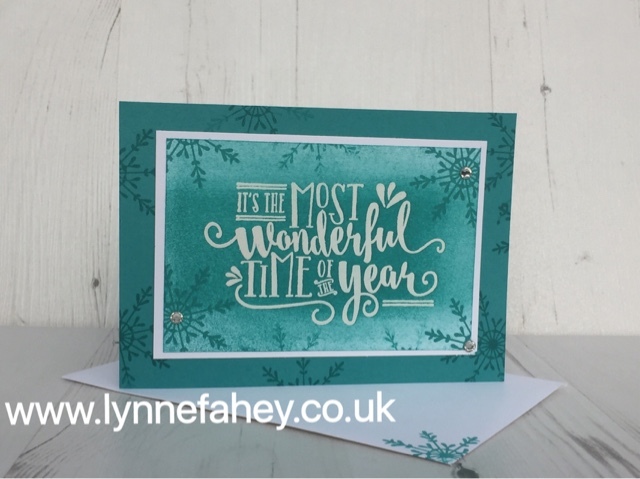 Stampin Up Demonstrator - Lynne Fahey (Spiralz and Curlz): Christmas card using "Wonderful Year" by Stampin' Up! Christmas card using "Wonderful Year" by Stampin' Up! 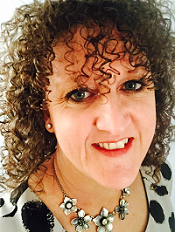 Hello again lovely blog friends and followers.... Have you noticed my new Blog Design.... do you like it? I absolutely LOVE it. 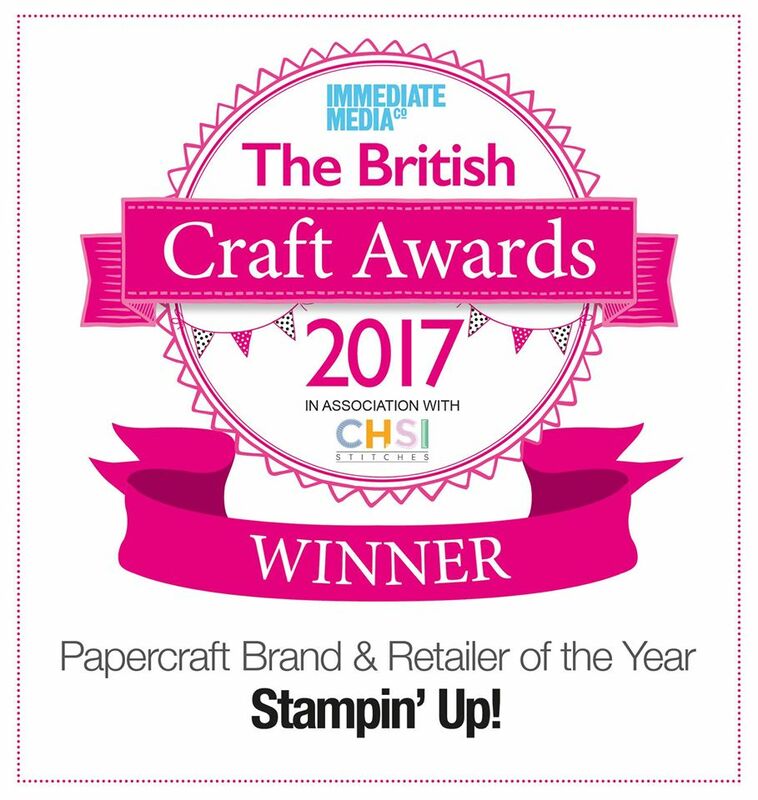 My Stampin' Up! Team are called the Pink Owls, so as soon as I saw this graphic I had to have it as my new logo. Anyway.... back to crafting. This is the second card made at my September card class. It's not traditional Christmas colours, which is part of the reason why I like it so much. It's Bermuda Bay and Whisper White - so eye catching don't you think? 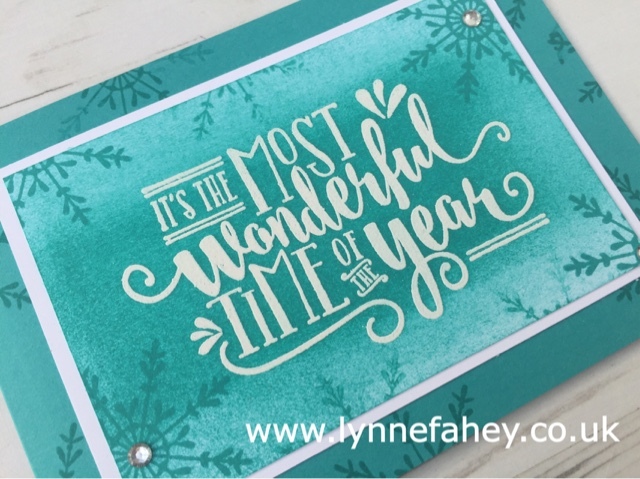 We inked the "Wonderful Year" stamp (Pg 28 of Seasonal catalogue) with clear Versamark ink onto Whisper White Cardstock, added white embossing powder, heat set it using the heat gun. Once it's cooled down you can use the sponge brayer (pg 180 in Annual catalogue) inked up with Bermuda Bay ink and roll the brayer over it until you have it as light or dark as you want it (remember it dries lighter!). This will make the white lettering pop out. Using the Bermuda bay Ink we stamped the snowflake from the "Tin of Tags" set (pg 33 of Seasonal catalogue). I hope you have a go at making some of these cards as they are so quick, simple and yet very effective. I'd love to hear what you think about the cards and my NEW Blog design.